NEW SINGLE 'STRANGERS' - OUT NOW! Una Healy is known as one-fifth of leading girl group, The Saturdays. The multi-platinum selling band have sold over 5 million records worldwide and scored 13 Top Ten singles and 5 Top Ten albums in the UK including the #1 ‘What About Us’ feat Sean Paul, plus ‘Higher’ feat Flo Rida, ‘All Fired Up’, ‘Ego’, ‘Up’ and many more. The Saturdays embarked on 4 nationwide headline tours and as part of the group, Una starred in 3 nationwide primetime TV series, including ‘Chasing The Saturdays’ for the E! Network which aired in over 40 countries including America. In 2017, Una signed to Decca Records and released her first single ‘Stay My Love’ - a duet with Sam Palladio, British born star of US TV drama Nashville. Una released her debut solo album ‘The Waiting Game’ in February 2017. Following this, Una appeared on the international version of Brett Young’s US #1 country hit ‘In Case You Didn’t Know’. Formerly an All-Ireland champion swimmer, Una is a proponent of maintaining a healthy, active lifestyle and has served as an ambassador for Reebok's fitness clothing range and for gym chain Fitness First. Una’s sporting connections led to her becoming a judge on ITVs ‘Let’s Get Gold’ during the London Olympics and also appearing ITV’s ‘Splash’ diving competition as a contestant. She has also hosted her own TV show ‘Una’s Dream Ticket’ in Ireland and became a judge on the Irish version of ‘The Voice’ for two seasons, where she became the winning mentor in her first year on the show. 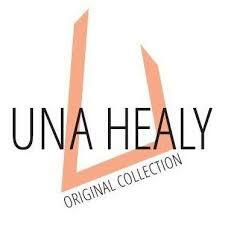 Una has developed and designer her own range of shoes, entitled 'Una Healy Original Collection' available nationwide and online. The range has over 100 styles to date and is set to continue into a third year, having achieved sales of nearly 90,000 units already. More recently Una released ‘Never See Me Cry’ the launch single from her upcoming second album and ventured out on her first solo headline tour. She followed this up with her current single 'Strangers'. Una is currently the weekend breakfast show presenter on Country Hits, the first national country music station in the UK. Catch Una hosting Country Hits Radio every Saturday morning from 9am - 1pm playing todays best country music! Listen now on Country Hits Radio app or DAB radio. Alongside singer-songwriter, musician and radio presenter, Una is adding shoe designer to her achievements. Una has designed a footwear range of her own with her first collection now hitting stores online and throughout stores in the UK and Ireland. Check it out here! Una is managed by Fascination Management.